40 Amp, 12 Volt, 5 pin Relay in SPDT (Single Pole Double Throw) configuration with NO (Normally Open) and NC (Normally Closed) contacts. Plastic housing with integrated mounting tab and standard 5 pin layout that accepts female sockets, solder or spade terminals. 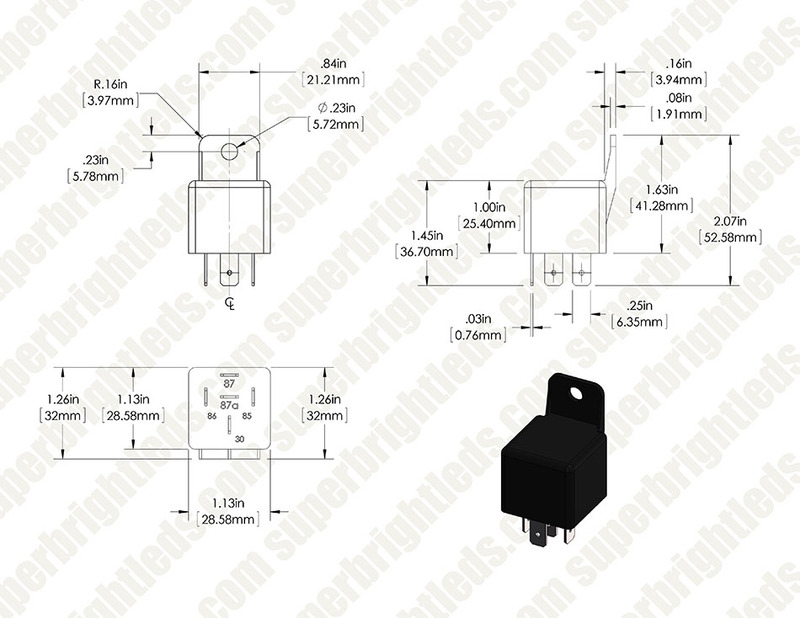 Relays suitable for use with high power LED Off Road Bars, AUX lights, Work Lights and other custom applications. you really kinda need the harness plug for it, it makes it much easier. This isnt the normal double output relay I usually get at an autoparts store. 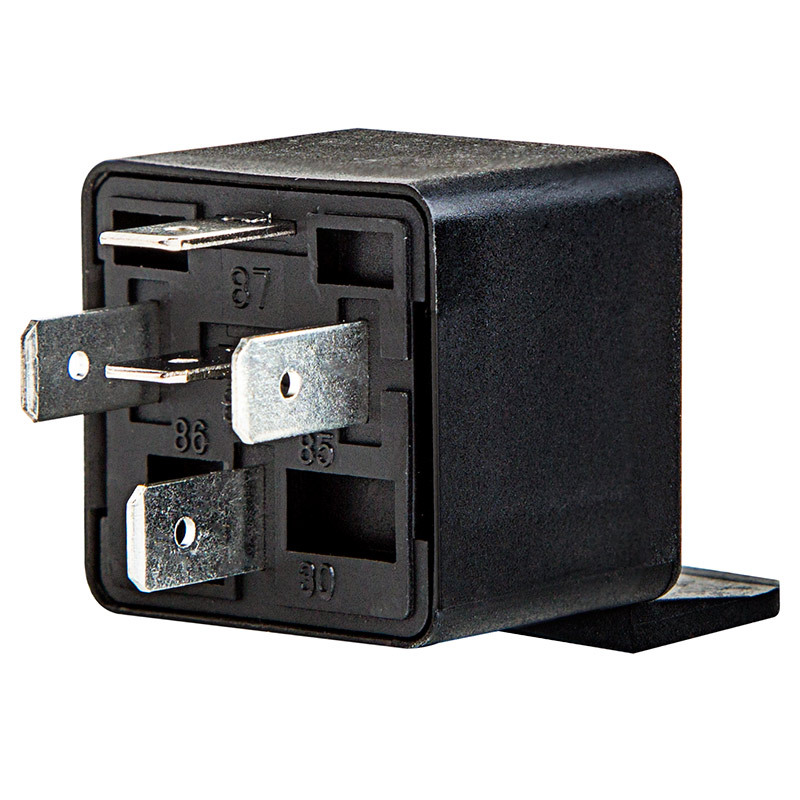 Normally what I get has 2 out put prongs and the entire relay is rated for 30A. This one is different in that, in its normal position its capable of 40A pass through, when energized it switches to the other out put terminal rated at 30A. So for me Im not using the 40A side of it as it cuts off when energized by the switch opening the 30A circuit. Im not really sure how one would used such a function on the relay to have 40A on when not energized, then cut the 40A circuit off to open the 30A circuit when energized. I hope all that makes sense so you arent confused as I was when I first hooked it up. On my Ranger pickup I decided to install some auxiliary reverse lights which draws 15 amps. 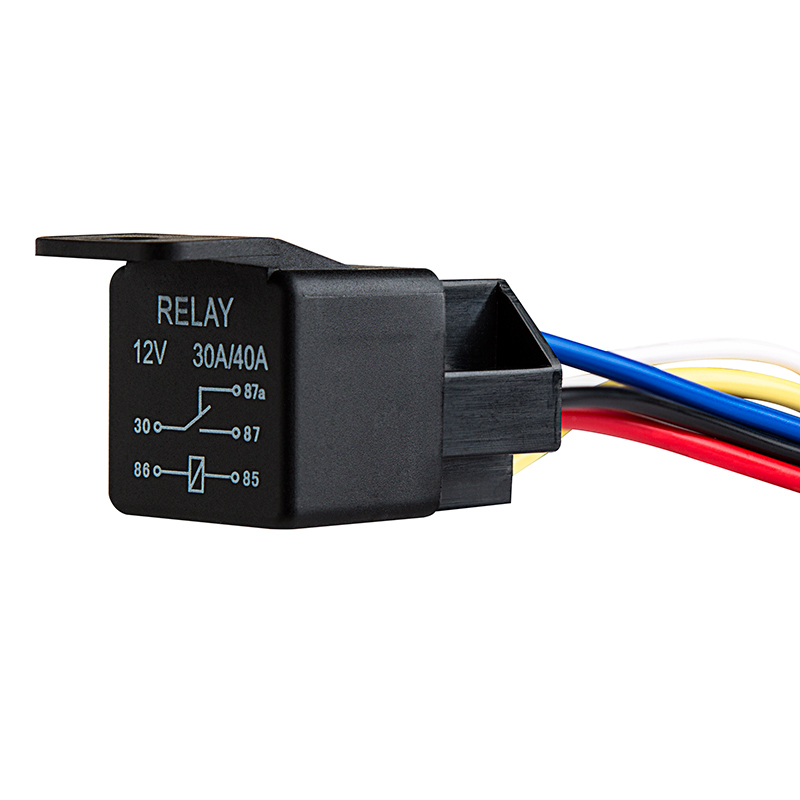 This relay works perfectly. 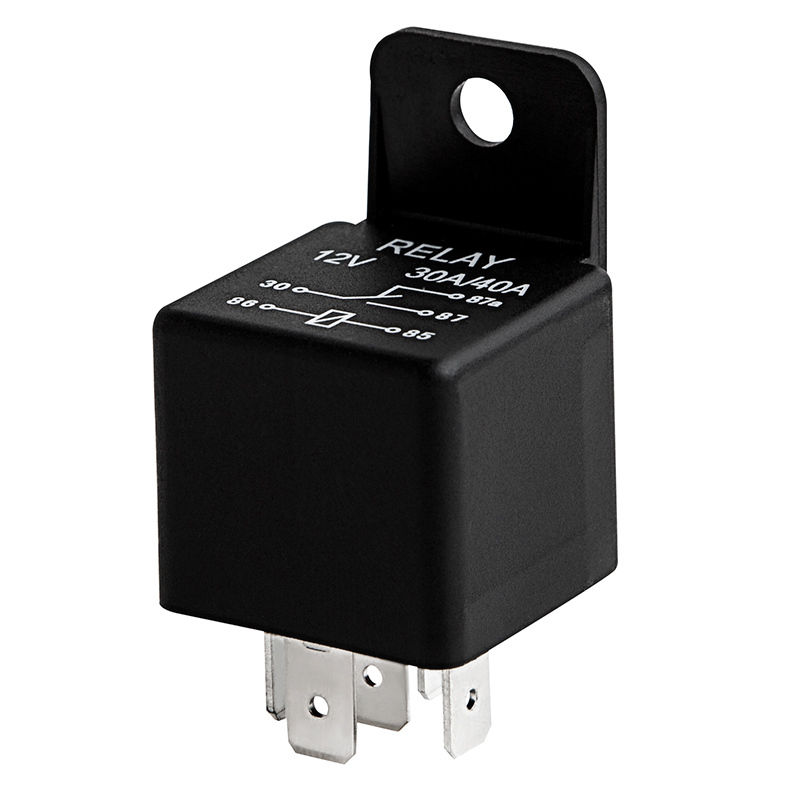 For those of you unfamilar with relays, this five pin relay will work in place of normal four pin relays. The only difference is the 87A pin, which isn't used in single circuits. I simply taped that wire off. You definitely need the socket though. Would be a nightmare using individual spade connectors. Excellent quality.....Just what I needed. Good relay, havent a had a problem with one yet. Nice to have the 5th pin as well in many situations. Motorcycle Engine LED Lighting Kit - Single Color 12V LED Tape Light - 132 Lumens/ft.